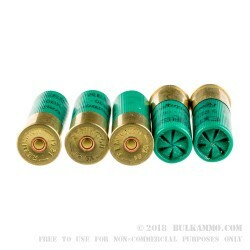 What's better than a box of shotgun shells? Fifty boxes of shotgun shells! This case of 250 shotshells will keep all but the most high volume shooters firing away for a long time. Each shell is engineered for strong mid-range performance and tight groupings using polymer buffering and cushioning to keep the nine 00 buck pellets in formation. These shells boast an above-average muzzle velocity of about 1,325 feet per second, augmenting their accuracy-enhancing capabilities. Suitable for general purpose use including hunting, home defense, and range practice. Remington's shotgun lineup includes a variety of category-leading classics such as the 870 and 1100 as well as the newer Versa-Max, an autoloader designed for reduced recoil and reliable feeding. The company's recent introductions include a 1911 pistol, the Remington R1, and an air rifle, the Remington Express, both of which have received favorable reviews. 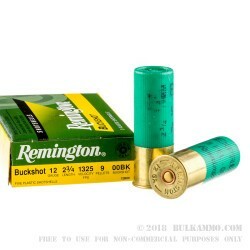 Remington also produces a diversified line of rifle, pistol, and shotgun ammunition and the legendary Remington 700 bolt-action rifle, a favorite of police snipers and long-range hunters around the country. 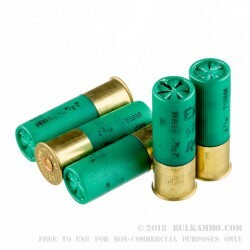 Q: Are theses shells high brass? 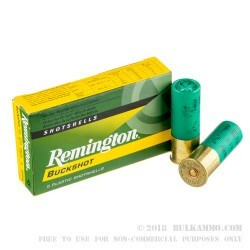 A: Hello Dan, The Remington Express 00 buck is loaded in a standard high brass shell.